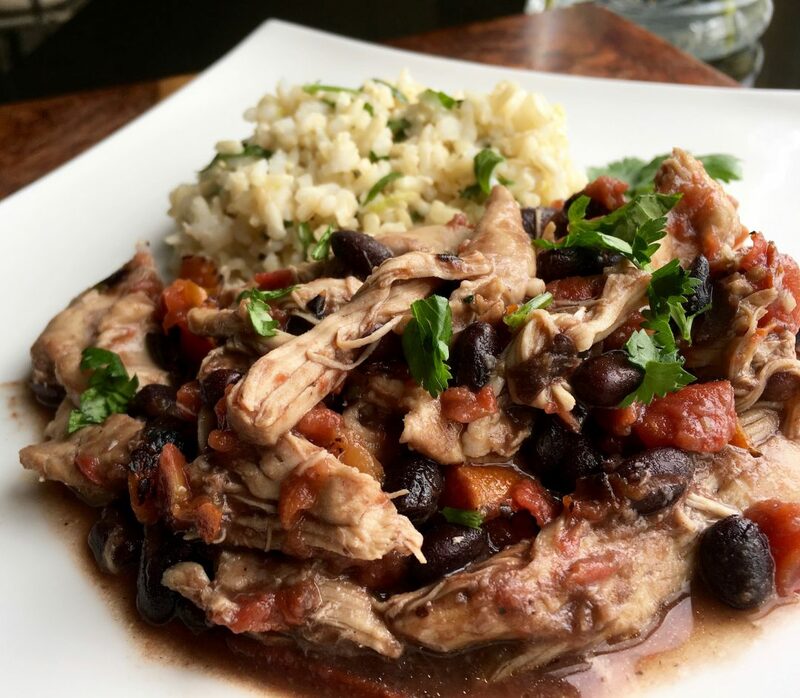 This delicious, healthy slow cooker recipe is as easy as it is versatile. This flavour-packed chicken is perfect for burrito bowls, lettuce wraps, or over a bed of flavourful cilantro-lime rice. Tip: Don’t skip the squeeze of fresh lime juice after cooking. It really brightens the flavours and pulls them all together. Unroll and add chicken thighs to bottom of a 5 or 6-quart slow cooker. Top with tomatoes, black beans, garlic, jalapeno pepper, liquid smoke, cumin, chilli powder, smoked paprika, oregano, and cayenne pepper. Season with salt and black pepper, to taste. Stir to combine, making sure the chicken thighs are coated and submerged in the liquid. Cover and cook on high for 3-4 hours or low for 6-8 hours. 30 minutes before done cooking, remove lid and shred chicken while in the slow cooker with two forks. Stir to combine shredded chicken with other ingredients. Cover and cook for remaining 30 minutes to allow chicken to absorb the flavours. Remove lid and squeeze fresh lime juice into the crock. Add coriander and stir to combine. Season with additional salt and black pepper, if desired.